Khawab Sheeshe Ka Episode 28 pdf download by Iffat Sehar is a social romantic Urdu novel that is trending in Pakistan and now available on freebooksmania. The story of this novel is about feelings and perceptions that people made for others and their lives but somehow, all goes wrong. Iffat Sehar is a top novelist and famous for her stories. 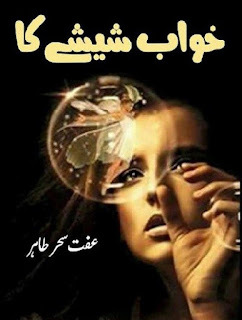 Almost 28 episodes of this novel has been published in the monthly digest and it is a most awaited novel by the people.